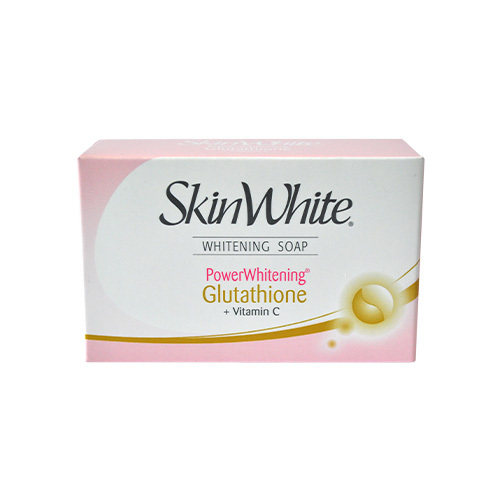 Discover your brightest with the 2x power of glutathione and whitening of SkinWhite PowerWhitening Glutathione + Vitamin C Soap! It has anti-oxidant properties that work from the inside of your skin for that radiantly glowing skin on the outside. Plus, it comes with an Advanced Tripower Technology and Vitanourish Formula that are responsible for skin’s full-on moisturization as they safely combat the three stages of melanin production, prevent skin darkening, and help block harmful UV rays from entering your skin* *For best results, apply SkinWhite Glutathione + Vitamin C Lotion after bathing. FULL SIZES: 90g PRICE: PHP 62.00 AVAILABLE AT: In all leading supermarkets and drugstores nationwide SOCIAL MEDIA: Facebook: @skinwhite Instagram: @skinwhiteph Grab yours now at Sample Room!